Goulds NPE 316L Stainless Steel Pumps from G&L are popular commercial end suction centrifugal pumps used for many pumping applications. Typical pump applications include Water Circulation, Booster Services, General Liquid Transfer, Spray Systems & Chillers. Many uses for these SS pumps for other purposes such as Washing and Cleaning Systems. Customers also use these pumps for Injection Molding & Cooling, Reverse Osmosis, Scrubbers, Heat Exchanges and Filtration Systems. 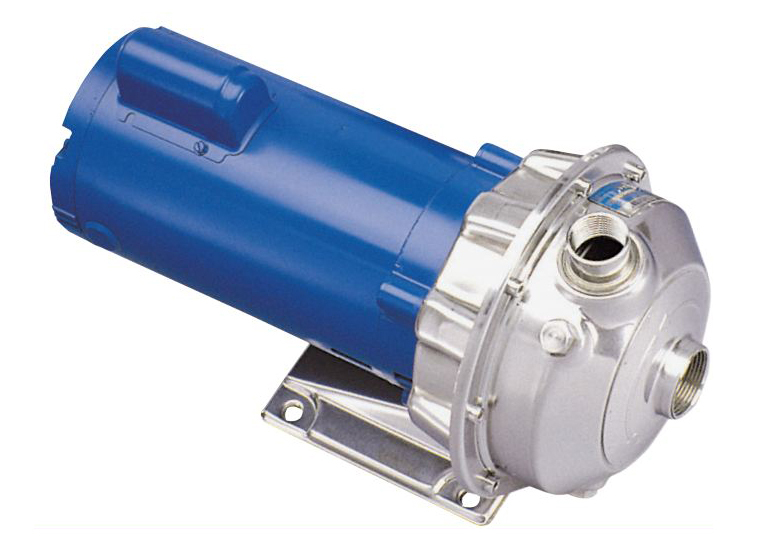 OEM Customers will love the performance of these pumps. Features & Benefits of Goulds G&L NPE Series Pumps include Mechanical Seals, High Efficiency Impellers, NEMA Standard Motors and Superior material of construction. Casing and Adapter Features for Stainless steel construction and are NPT threaded, center line connections, the vent is easily accessible, prime and drain connections with stainless steel plugs. The manufacturer makes optional seal face vent/flush available to customers because of the benefits. Goulds offers standard open drip proof or totally enclosed fan cooled motor options.